The 19th Amendment, established in the early 20th century, and the Equal Rights Amendment were both improvements and strides towards the women's social development that had occurred in the 1920s due to the 19th Amendment and many other societal changes, like technology and image. Women like Susan B. Anthony and Elizabeth Cady Stanton made it possible for the 19th Amendment to official happen and also for the Equal Rights Amendment to happen later in the '70s. Both Amendments, whether followed through with or not, were huge improvements and stepping stones to equality for women that are still pursued to this day. The 19th Amendment had been in the works before the year 1920 had even approached. As a response, before the ratification of the 19th Amendment, police had even arrested Susan B. Anthony for voting illegally. One of the radical of feminists, Anthony had fought using multiple uses of activism, rallies, and other forms of documents such as the Declaration of Sentiments. (UKMC) Anthony and Stanton opened up room for more improvement in the Women's Movement after the ratification of the 19th Amendment. The Equal Rights Amendment background history came about in the early 20th century when the government took initiative over women. Certain jobs held qualifications of gender over women, denying them jobs that only men could take a role in. The two Amendments can easily be compared and are safe to say that the two Amendments set up many struggles and fights that continued even after the proposal of the two Amendments and the movements for women that spurred them. 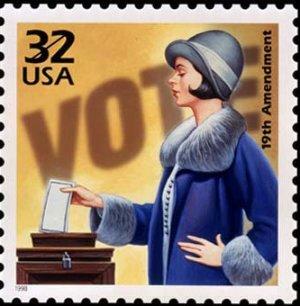 Feminism, women's suffrage movement, and many organizations spurred from the creation of the two Amendments. 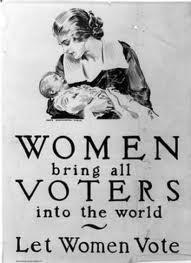 The 19th Amendment occurred after many years of rallies, movements, and meetings; yet it did not prevent sexist or unequal events from happening to women in society, such as denying women jobs due to their gender and the stereotypes that came from their gender for much of the history of the United States. As minorities, Anthony and Stanton felt that setting up a legal document to justify women's rights in the United States would help to prevent the unequal qualities that the United States had supported for many years by allowing women to vote just as men did and to also participate in governmental jobs. 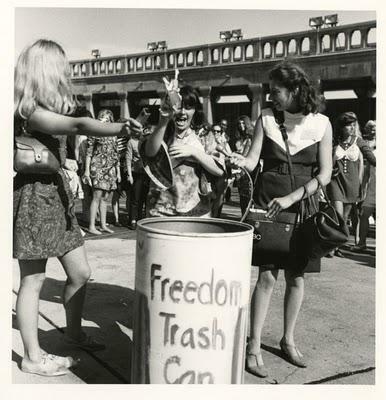 In comparison, the Equal Rights Amendment, much like the 19th Amendment, created a movement for women once again by trying to change the sexist views over women during the 1960s and 1970s. By opening up the doors to the idea of women participating in the same jobs as men, it created a movement that continued for 20 years, despite the failure of the Amendment. Overall the 19th Amendment and the Equal Rights Amendment, although created at much different times, served for the same purpose, created the same outcome, and also added more to the social development of women that came from the women's movement in the early 20th century.